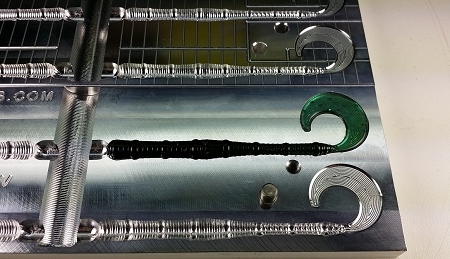 Our unique designed drop shot worm with C tail, 4 Cavity mold. Bait is approximately 4.5" overall length, .250 at head, .125 at tail tip. Tail is about a 1" Radius cit at .05 thick. Currently made to order with roughly a 2 week lead time. Knobs not included, available as option at 3.75 per pair.